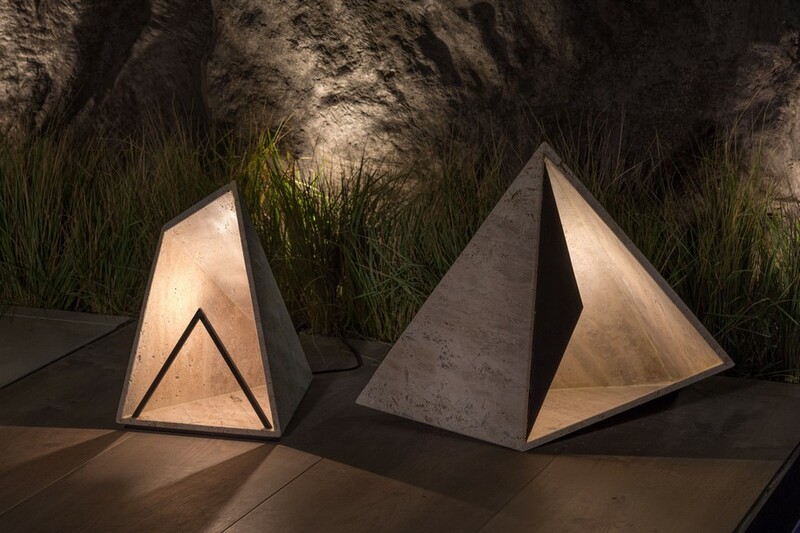 Athens-based lighting design duo Okapi (Mariza Galani & Rania Macha) have just won the 2nd place in Darc Awards Decorative Outdoors Lamp, with Carina. The luminaire of Okapi’s new outdoor decorative lamp, consists of travertine marble and metal black elements, which conceal the glare-free light source: an efficient LED tape with a 2700 K color temperature and a 2.4 W consumption. The two versions of Carina by Okapi share apparently, the same shape, but although different they are perfect together. The inspiration behind the design concept came by a simple gesture, such as folding a paper boat. 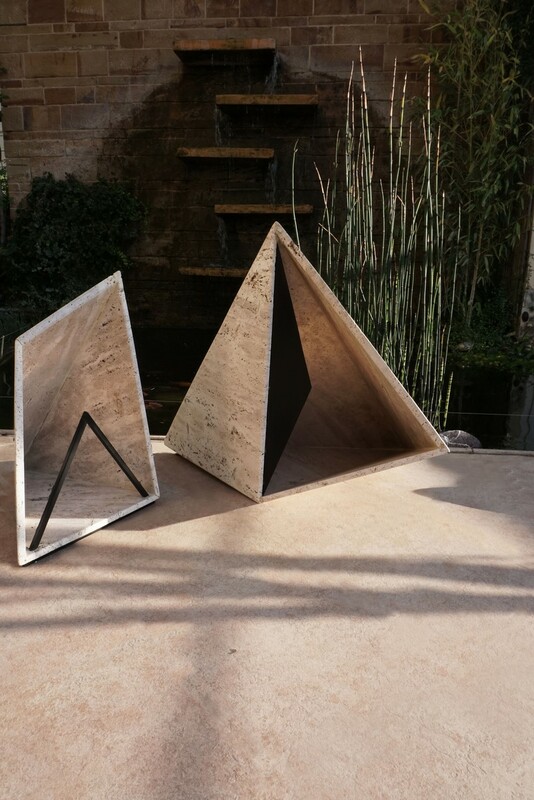 These two monolithic shapes aim to propose a different way of lighting outdoor spaces, blending in harmoniously with the environment thanks to their rough texture surface and prismatic structure. 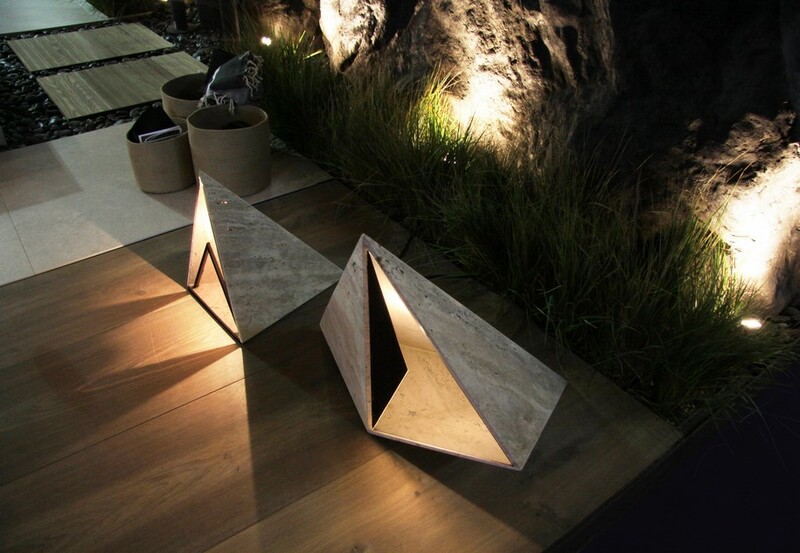 Carina represents an alternative, sophisticated lamp that adds a touch of style to gardens and green areas. Are you into Mariza’s and Rania’s work? 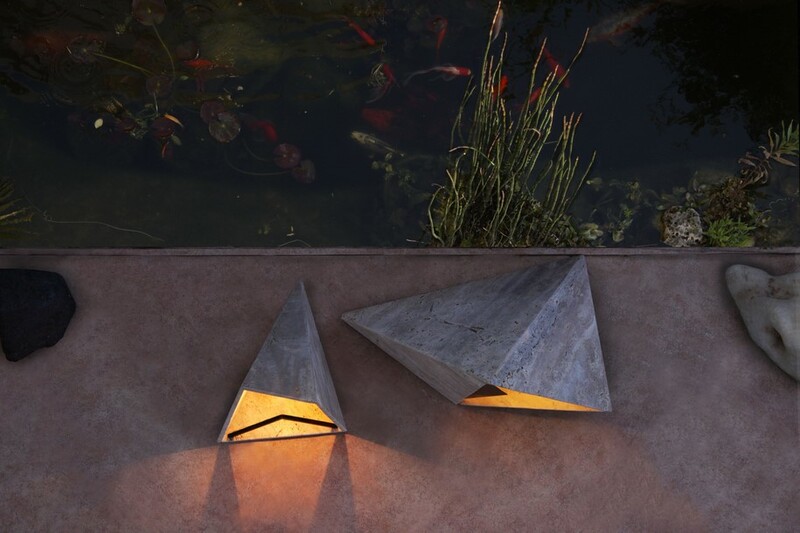 Have a look at their projects for these triangular lightings or their collection inspired by the Greek seascapes.